It's the final stomping, roaring, chomping edition of our coverage of Jurassic Park by Michael Crichton; this week we're reading from 'The Grid' to the end of the book, and it's a doozy. We've got scientists tinned in brine; we've got psychedelic killing machines, and we've got the world's most pathetic death-scene, involving a walk in the woods. And as a special final-episode treat, we've got some reviews from around the world, some of which are positive and some of which are...entertaining. As ever hit us up with your thoughts, opinions or rants: sharkliveroilpodcast@gmail.com or @sharkliveroil on Twitter. We're off for the summer now, so enjoy the beach and we'll see you in September! It's part 4 of our massive, stomping, bellowing shambles of a read-through of Michael Crichton's Jurassic Park! This week is an absolute mammoth, so it's a bit late, but to make up for it we've got it all - we've got raptor boxing, we've got dinosaur ASBOs, and we've got a T-Rex that falls asleep like your grandpa after Christmas dinner. We also spend a couple of minutes fundamentally redefining arithmetic because Michael Crichton brought maths to the table and we SHARKED IT. As ever, get in touch with your thoughts or reviews of the book - next week it's the big finale. sharkliveroilpodcast@gmail.com and @sharliveroil. Roar at us, bro. 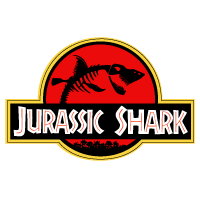 It's part 3 of Shark Liver Oil's page by page guide to Jurassic Park by Michael Crichton and its a MONSTER of an episode. After two weeks of growing wonder - the kind you can only get from visiting a theme park with actual real live dinosaurs in it - we find out what happens when said Dinosaurs get loose. We don't want to give too much away but it doesn't end well for an overweight computer programmers and red haired publicists with a striking resemblance to a mid 90s pop superstar. Oh, and we lament the greatest park name that never was, Jurassic Europark. If you're reading along with us, this episode goes from the chapter called Stegosaur as far as the chapter called The Park which begins with the line, "The portable generator." Feedback? You know we want it! Contact us at sharkliveroilpodcast@gmail.com or @sharkliveroil on twitter. It's part 2 of our 5-part romp through Michael Crichton's classic Jurassic Park, and this month we've got questionable grandfathering, questionable labour practices, and questionable casting for the part of Ed 'Not In The Film' Regis - but more importantly than all of that WE'VE GOT DINOSAURS! As ever, send us email at sharkliveroilpodcast@gmail.com, or tweet at us @sharkliveroil; but do it gently, we've just had to climb inside an electric fence to do the most extreme pruning job ever performed. We've finally got around to doing one of our favourite books of all time - Jurassic Park by Michael Crichton. Our page by page guide will take you through this epic tale which is a modern classic in its own right or, for cinema fans, reads as a special extended directors cut version of the film. In the first part we meet some familiar characters (Alan Grant. John Hammond) and some less familiar ones (introducing Simply Red's Mick Hucknall as Ed Regis..). We'll also go undercover with the worlds best named evil genetic engineering corporation (Biosyn) and get our first glimpse of a real life dinosaur. It's going to be even more fun than examining a partially masticated south american lizard. If you're reading along with us, we're going from the start of the book to the chapter called 'When Dinosaurs Ruled the Earth." Next week, we'll be reading from "When Dinosaurs Ruled the Earth" to "Stegosaur."